President of the PerseverinG Pi Gamma Chapter of Sigma Lambda Gamma National Sorority, Inc.
"Before you choose a major, take courses in different areas that you think you are interested in. Don't limit yourself to one major because that's what your parents want, or because your friends have chosen that major. Exploring classes from different majors can help you find a major that is right for you." "I am from Ohio, and I originally wanted to go to school really far away, but the deciding factor in choosing Miami was that I was interested in joining the swim team. I swam in high school and was looking at colleges where I could continue that sport. However, I didn't end up pursuing the swim team once I got here because of Miami's vast opportunities. "My first year was very hard. It was the first time I'd been away from my parents for an extended period of time, so although it was nice to have a little bit more freedom and space, I had some trouble adjusting to my family not being close by if I needed them. Luckily, I found a great group of friends living in my dorm which helped my transition. We are still friends to this day. "My parents own an exotic animal store, and my dad has studied biology his entire life. I was not always entirely sure I wanted to go into biology, but I finally decided to pursue it when I came to Miami. During freshman year I took a lot of different Miami Plan classes to see what I was interested in, and once I realized that biology was my strongest subject, I decided to become a biology major." "At Miami there are unique events every day. Being able to learn something completely new each time is very valuable. Since I am interested in so many different topics, I try to go to as many events as I can to learn something new. Miami offers many experiences where I can branch out, meet new people, and keep learning! "I'd say that the most impactful experiences I have had at Miami so far were joining my sorority, Sigma Lambda Gamma, getting involved in the LSAMP (Louis Stokes Alliance for Minority Participation) program, and doing research — both at Miami and through study abroad. "I had not been planning on going Greek when I came to Miami, but then I found Sigma Lambda Gamma, which is Miami's only Latina-based multicultural Greek organization. We focus on women's empowerment, academics, social interactions, community service, cultural awareness, and morals and ethics, and throughout the semester we put on related events. Before becoming the current chapter president, I have held several other leadership positions: internal chapter relations chair, VP of financial operations, delegate for I Am Miami and for the Black President's Caucus, Scholarship Chair, and Community Service and Philanthropy Chair. Finding this group of strong, independent, driven, culturally aware women has been the best decision of my college career. Without them, I would not have been able to accomplish all that I have. "When I first came to Miami and learned about LSAMP, I never would have thought that I would use it as a model for my own student organization. LSAMP's goal is to increase the number of underrepresented students graduating and succeeding in the STEM (science, technology, engineering, and math) fields. It provides its members with faculty advising, tutoring sessions, career networking, weekly study tables, study abroad advising, and much more. LSAMP inspired me to start my own STEM organization — Students Together Empowering Minorities! Both LSAMP and STEM have helped me develop my leadership abilities and communication skills. 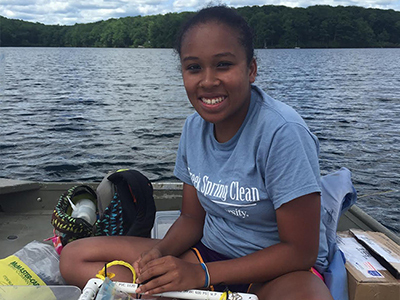 Keiko Wilkins prepares a sampling device while on Lake Giles in Pennsylvania. "Finally, doing research at Miami has been an amazing experience. I have worked on several research projects within the biology and microbiology departments. My academic advisor in the Department of Biology, Craig Williamson, helped me to begin limnology research, as I am very interested in organisms living in aquatic systems. Dr. Williamson invited me to work with his lab, where he studies climate change in ecosystems. Based on that, I decided to pursue a research project studying zooplankton in the Poconos Lakes in Pennsylvania. I have also been a part of wood frog research in Dr. Jon Costanzo's biology lab and am currently working on a microbiology research project with Dr. Rachael Morgan-Kiss. "This past J-Term I joined the SEA [Sea Education Association] Miami program in the Caribbean with Dr. Morgan-Kiss. I had the opportunity to sail for 10 days around the entire island of Puerto Rico to learn how to sail and collect samples for my research project. I learned so much about the ocean, Puerto Rico, and nautical science. I would highly recommend this study abroad program to any student interested in doing marine biology research. "All of these research experiences and leadership roles at Miami have given me a lot more confidence. When I first came here, I was not very willing to put myself into uncomfortable situations, but Miami has allowed me to branch out and get to know myself better. Going forward, I now know that I want to get a PhD in marine biology or tropical ecology." "Because of my interests in a variety of topics, being a liberal arts major has not only given me a focus on research but also made me realize that I am interested in writing. I did not know how much I really loved to write until I took English professional writing classes here at Miami. They were very interesting, and the skills I learned there have been very helpful for my research. "Each one of my biology courses has been different. One of my favorites has been BIO 463, which was a limnology course I took last fall. I absolutely loved it because we went out to the Ecology Research Center (ERC) to do various experiments. For one experiment, for example, we tested the effects of dissolved organic matter on the water and the organisms living in it. We had to design the experiment and analyze the data, so it was a great learning experience." "The LSAMP program strives to help underrepresented students be successful in STEM fields by offering study skills workshops, tutoring, study tables, and much more. Various companies come in and talk to students about potential STEM-related jobs. All meetings are led by faculty who talk about research and career opportunities. "I was able to get involved in my research projects through conversations with these faculty advisors. This inspired me to begin the STEM (Students Together Empowering Minorities) student organization. LSAMP is not open to everyone, so I wanted to start an organization that more students could be a part of. STEM evolved as a great way to help all students on campus. Keiko Wilkins (left) and two other signers of the It's On Us pledge to help end sexual and interpersonal violence. 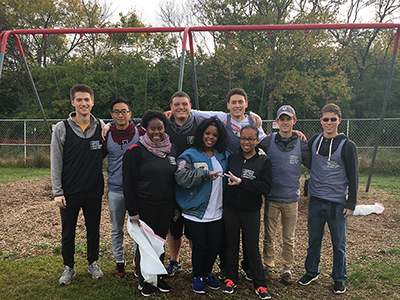 "Although we are a new organization, STEM has already participated in a number of community service projects, including co-sponsoring a blood drive and Make a Difference Day for community service. We host different workshops throughout the semester, including a VARK (Visual, Auditory, Reading, and Writing) workshop to help students learn about themselves and ultimately study better. We have also had faculty members come in to talk about how students can get involved in their research labs. "My interest in being an advocacy leader extends to my sisterhood in Sigma Lambda Gamma. As a diverse group of students on this campus, we make sure we are open to everyone and value each other's differences. That's part of what makes us stand out. We wholeheartedly believe in our motto, 'Culture is Pride, Pride is Success'. "Together we are stronger because of our differences, and being a minority on Miami's campus can be a challenge at times. I am thankful for the support I get from my sisters, who all have various cultural backgrounds and experiences, to achieve more than society often expects us to." "Before you choose a major, take courses in different areas that you think you are interested in. Don't limit yourself to one major because that's what your parents want, or because your friends have chosen that major. Find your passion and pursue it. 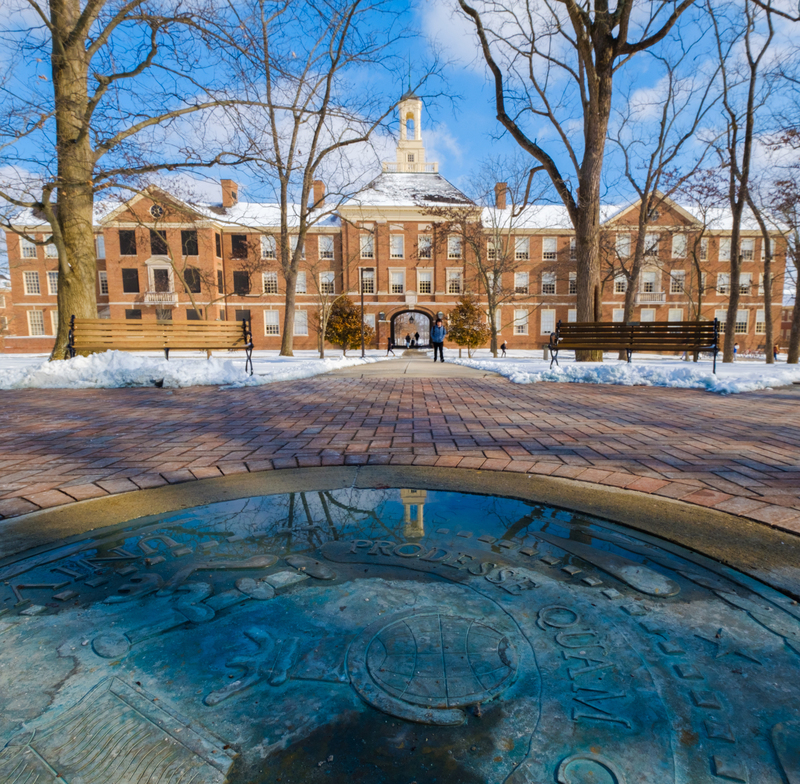 Exploring classes from different majors can help you find a major that is right for you. 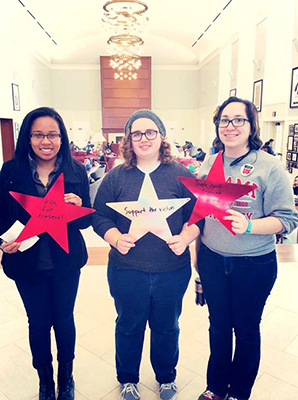 "Aside from classes, it is also good to get involved with various organizations on campus. Make sure to search on the Hub for student organizations. Even though I was not sure what to join my freshman year, I started going to different organization meetings and info sessions. Over the years, I found which ones I was truly passionate about and have stuck with them. 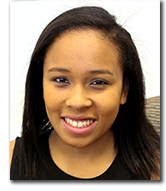 My experiences within these organizations have helped shaped me into the person I am today."